Welcome to week 15 of the ‘The Desperate Housewife’s Quilt’. Todays block is about log cabin techniques and adding corners. Remember, this is not a quilt-a-long. 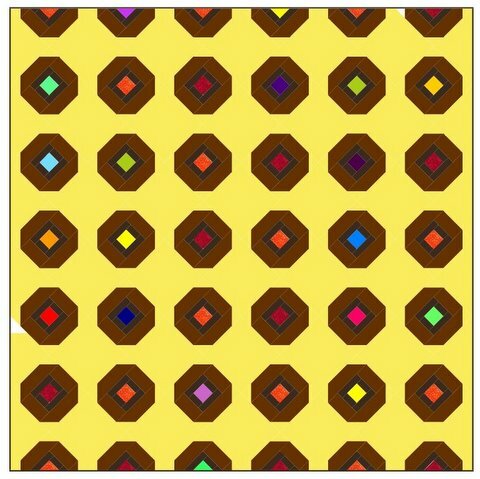 Just follow the blog every week and pick and choose which blocks you would like to make. I will be injecting some uniqueness into traditional blocks, applique, three dimensional, crazy and thread-art blocks. If you make a block please post it on the Flickr group for everyone to enjoy. This weeks guest is one of the happiest people I know – Melissa from Happy Quilting. Melissa is a mum of 5 (as of 24th September 🙂 and wife to an amazing husband. They all enjoy living in beautiful Southern Utah, U.S.A. Melissa discovered the on-quilting community about 2 years ago and was hooked. Her love of Quilting and the amazing people that Melissa met through this wonderful on-line community have made her the happy and very successful quilter she is today. Melissa has created a fun block reminiscent of the Brady Bunch TV Show. Chocolate is the food of the gods. Decedent and naughty. Calming and exciting. Press and trim back to 1/4″ any excess fabric. Repeat for other end. Make 4. 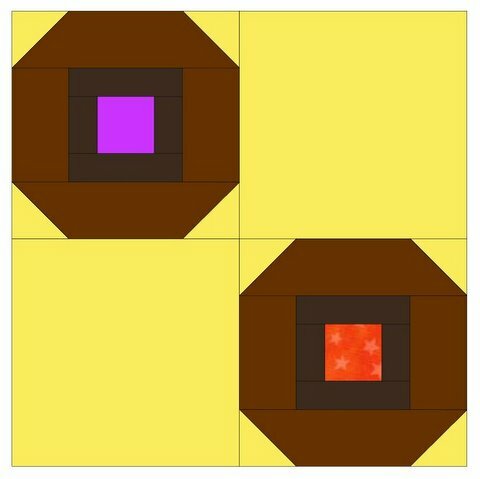 Sew the dark brown 1 1/2″ x 1″ rectangles to the top and bottom of the centre square. Press the seams to the darker fabric. 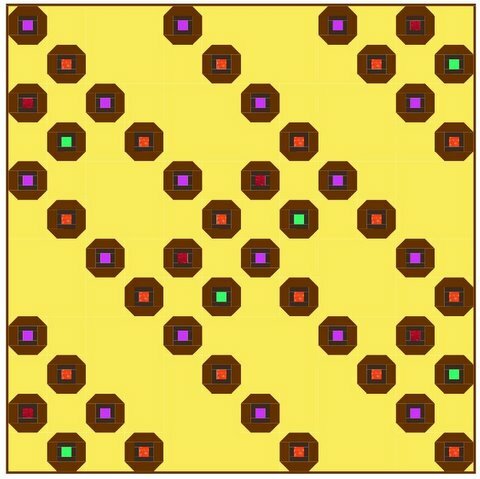 Sew the dark brown 2 1/2″ x 1″ rectangles to the sides of the centre square. Press seams to the dark fabric. Sew the light brown 2 1/2″ x 1 1/2″ rectangles to each side. Press seams out. Sew the light brown 4 1/2″ x 1 1/2″ rectangles with corners to the top and bottom. Press seams out. The block will measure 4 1/2″ square. 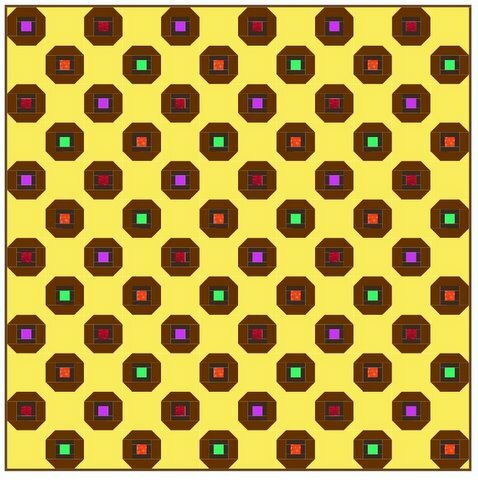 The centres of this block can be many colours to reflect a box of assorted cream filled chocolates. I hope you enjoyed this weeks block. Next week I will be getting in the spirit of Halloween.